Open and Shut? : Elsevier’s Philippe Terheggen on the state of Open Access: Where are we, what still needs to be done? Elsevier’s Philippe Terheggen on the state of Open Access: Where are we, what still needs to be done? One of a series exploring the current state of Open Access (OA), the Q&A below is with Philippe Terheggen, Managing Director, STM Journals. 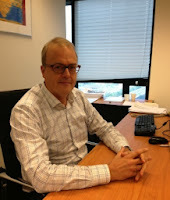 Terheggen, who is responsible for all 2,500 of Elsevier’s journals, is the second representative of a traditional commercial publisher to take part in this series. As the largest legacy journal publisher, Elsevier tends to attract more criticism from the OA movement than other publishers. One could argue, however, that it has conspired in this by doing more than other publishers to try to derail OA — not least by aggressively supporting the infamous Research Works Act (RWA) in 2011. But where is Elsevier with OA right now? Currently, it publishes some 2,500 journals, all of which are available on its electronic platform ScienceDirect, which now hosts nearly 12 million articles. The vast majority of these journals, however, are still subscription-based, and Elsevier currently publishes just 56 pure Gold OA journals. It does however offer a Hybrid OA option for 1,600 of its subscription journals. How quickly is Elsevier moving to embrace OA? At the beginning of 2013 the publisher had 31 OA titles. This year 25 new ones will be added, and the expectation is that a further 25 OA journals will be launched in 2014. OA advocates might argue that this is hardly breakneck speed. And they might want to contrast the way in which Elsevier has embraced OA with the way that Hindawi has. Elsevier launched its first Gold OA journal three years ago, and yet it still has less than 60 OA journals. Hindawi, by contrast, converted its entire portfolio to OA in three years, and is currently launching around 100 new OA journals a year. Critics might also add that Hybrid OA remains a small drop in Elsevier’s ocean. Last year it published 1,847 hybrid OA articles, but this is less than 1% of the articles it published in its subscription titles. Meanwhile, the number of subscription articles Elsevier publishes continues to increase at around 3% -4% each year. Elsevier might respond that it is not in control of the speed with which researchers adopt Hybrid OA. Nevertheless, it could certainly influence demand — by, for instance, sending out the right price signals. What about Green OA? Since it is self-archiving that legacy publishers are most sensitive about, and was the motivation for Elsevier to support the RWA, it is probably worth looking at Elsevier’s response to Green OA a little more closely. This reminds us that publishers like to describe Green OA as being an “unfunded” form of Open Access — although in fact this is not strictly correct: Green OA is funded through the existing subscription system. What then is Elsevier’s track record on Green OA? In a timeline Elsevier sent to me outlining its engagement with OA it is recorded that the publisher adopted a green self-archiving policy in June 2004. At the time, the announcement was viewed as a major breakthrough for the OA movement, with Information Today reporting that the news had “stunned” the academic community. What stunned people was that Elsevier had agreed that researchers were free to self-archive postprints of their papers, both on their own home page and in their institutional repository, and to do so without an embargo. As with most things in life, however, the historical record reveals a slightly more confused picture. First, we could note that when the announcement was made the then CEO of Elsevier Science and Technology Arie Jongejan described it not as a new policy, but as an “extension or further liberalization” of its existing policy. So what was the previous policy? Re-reading Haank’s words today it is hard not to conclude that Elsevier authors were free to self-archive their postprints even before the 2004 policy, although Haank did not indicate whether the publisher permitted posting only on personal web sites, or in institutional repositories too. (In fact, OA advocates maintain that no meaningful distinction can be made between an author’s own website and their institutional repository). The problem, however, was that Haank’s description of Elsevier’s policy did not appear to be reflected in the copyright information on its web site, which referred only to preprints. Unsurprisingly, therefore, OA advocates were quick to pursue the matter. Peter Suber, for instance, immediately emailed Haank and asked him to clarify what he had said to me. In the event, Suber received no reply, and the next year Haank departed Elsevier to head up Springer. Stevan Harnad also took the matter up with Elsevier, engaging in an email exchange with Elsevier’s then Senior Vice President of Strategy Karen Hunter. It was out of this exchange that details of the 2004 policy first emerged — specifically in an email Hunter sent to Harnad on 27th May 2004, which Harnad immediately posted on the SPARC OA mailing list. It seems likely, therefore, that the more liberal self-archiving policy Elsevier announced in June 2004 was a consequence of what Haank had said in his 2002 interview, and the subsequent requests for clarification that it sparked. So where are we today? Not in quite the same place it seems. Although Elsevier authors are in principle still permitted to self-archive their postprints in their institutional repository, and without an embargo, the wording of the policy has been amended on a number of occasions, and the conditions under which self-archiving can take place have become more complicated. OA advocates have reacted to the new proviso with some concern — see here and here for instance. Amongst other things, they complain, these agreements specify “embargo periods that go beyond what is already stated in the publishers’ own policies.” (See here for an example). For this and other reasons, OA advocates have advised institutions to decline to enter into such agreements with Elsevier, or any other publisher seeking a similar arrangement. There is, after all, no apparent legal necessity to do so. For its part, Elsevier denies that this new arrangement amounts to a change in its self-archiving policy, and points out that its first “systematic posting agreements” were made with funding bodies as early as 2005. Be that as it may, universities do not appear to have been asked to enter into such agreements until 2011, and the new conditions surely represent an attempt to roll back the 2004 policy, at least for those authors whose funder or institution has introduced a self-archiving mandate. And it is for this reason that Elsevier’s approach has been characterised as the “deposit without embargo if you wish, but not if you must” model. All that said, we should not doubt that Elsevier is slowly but surely lumbering towards OA, all be it still somewhat reluctantly, and all be it at times in a somewhat contradictory manner. It is also clear that Elsevier would much prefer that the emphasis was on Gold rather than Green OA. Certainly OA advocates continue to view Elsevier as a foot-dragger, and the publisher is frequently criticised for its Green OA policy. There have also been complaints that, three years after it launched its first OA journal, and seven years after it began to offer Hybrid OA, ScienceDirect still appears unable at times to distinguish between papers that authors have paid to make OA and those published under the subscription mode. One consequence of this is that people can be asked to pay $32 to read papers that the authors have paid $3,000 to make freely available. So what do I find noteworthy about Philippe Terheggen’s answers below. Overall, I have to say I felt a certain reluctance to call a spade a spade, and at times Terheggen seemed somewhat unforthcoming. For instance, he declined to say whether he felt that Elsevier’s profits are excessive — as OA advocates regularly maintain. Likewise, he was shy to express an opinion on how Elsevier’s shareholders and investors view OA — something one would assume a senior manager in a publicly-traded publishing company would be extremely sensitised to at this stage in the transition to OA. But we should not be surprised. The sometimes hysterical criticism that the publisher attracts from OA advocates, especially over its profits, would be likely to make anyone a little shy, particularly if they felt that what they said might itself have an impact on the company’s share price. In any case, there is unlikely ever to be a meeting of minds between Elsevier and OA advocates on the issue of economics and pricing. Since researchers primarily inhabit publicly-funded institutions, they can at times be a little unrealistic about financial matters, and the need for companies to generate excess income. Besides, Elsevier employees point out privately, if you accept that scholarly publishing operates in a capitalist economy the very notion of “excessive profits” has little meaning. That Elsevier employees are unable to call a spade a space, however, can lead to somewhat contradictory statements. For instance, when I asked if it might help if Elsevier apologised for its support of the RWA, Terheggen replied, “I don’t think any organization or industry needs to apologize for efforts to have its voice heard on an issue we think is important”. We are bound to wonder how supporting the RWA could ever be construed as Elsevier responding to the needs of researchers, or indeed seeking simply to have its voice heard. The RWA, after all, was intended to roll back the Public Access Policy introduced by the US National Institutes of Health (NIH), and to prevent any other federal agency from introducing a similar policy. Again, this does seem at odds with the fact that, over on the Cost of Knowledge web site, nearly 14,000 researchers have committed to boycott Elsevier. That said, it is undoubtedly to Terheggen’s credit that he agreed to answer a bunch of what he may at times have felt to be impertinent questions posed by a truculent blogger. After all, it is not so long ago that Elsevier and its employees would have scoffed at the idea of engaging with the blogosphere, believing that the only people it needed to talk to were its librarian customers and its shareholders. Times are changing! In seeking to engage with the world more, however, one of the most frustrating things Elsevier surely faces is that — like Microsoft before it — it is not able to do so on a level playing field, not least because many of its critics are not interested in debate, but simply want to attack the publisher. In this respect, Elsevier is damned if it does, and damned if it doesn’t. For independent observers, meanwhile, there is a temptation to conclude that both sides of the barricade (OA advocates and legacy publishers) are inclined to spend too much time in their respective echo chambers. Certainly both seem to interpret and understand events in ways that suit their particular world view, regardless of the evidence presented to them. (What better example of this than the thorny issue of whether Green OA will lead to journal cancelations). Yet, somewhere out there presumably there are some objective facts! In a bid to identify and present some facts about Elsevier and its history I have drawn up my own timeline, which can be viewed below the Q&A. This includes what I view to be some key “moments” in Elsevier’s 133 year-old history, but majors on the more recent past, and especially on the publisher’s response to the OA movement. No doubt one could argue that the particular events I have chosen are subjective. Nevertheless, they are primarily dates and facts. Amongst other things, I think the list demonstrates that the rise of the Internet and the accompanying consolidation of the publishing industry, combined with the affordability problem the research community has been grappling with for the past several decades (exemplified by the serials crisis), made OA inevitable. I think it also shows that, like any company that has achieved excellence in its chosen field, Elsevier has been reluctant to embrace the level of change that OA requires — and let’s be clear, its reservations have not always been unfounded. Over time, however, its resistance to OA has turned into acceptance. Above all, I think the list demonstrates that, like an ocean-going liner, a large company like Elsevier inevitably takes time to change, and to embrace new ideas and ways of doing things. The question, of course, is whether in embracing OA Elsevier will be able to meet the expectations that it has raised. Currently it looks likely that, unless something else changes, the research community will be no more content with the emerging OA publishing landscape than they are with the current subscription model — not least because one of the primary reasons why both librarians and researchers joined the OA movement in the first place was that they believed it would solve the affordability problem. If OA proves no less expensive than subscription publishing there will surely be disappointment ahead. Q: Earlier in this Q&A series publishing consultant Joe Esposito suggested that Open Access will never be more than a niche activity. As he put it, OA will be “a useful, marginal activity that opens up a new class of customers through the author-pays model … OA is marginal in the sense that most research is performed at a small number of institutions. ‘Most’ is not the same thing as ‘all.’ Those institutions subscribe to most (not all) of the relevant materials. So by definition the access granted by OA is marginal to what researchers at the major institutions already have. Nothing wrong with working on the margins, but let’s call it what it is.” Is this a view you share? If so, why (what is the evidence?) If not, what are your expectations for OA? A: Richard, I wouldn’t call OA marginal. Some well-admired journals in the world publish under the OA model and authors who choose to publish OA are not marginal either. My general expectation is that OA uptake will continue, but differ by discipline and with different levels of enthusiasm. A: Gold OA is a fair transaction model, since it is clear how value is exchanged. Because of this, I expect further measured growth of Gold OA. Unlike Gold, Green isn’t a transition to a new business model, it is simply access to an early version of the article. Constructive implementing of Green OA will help to with journal continuity, but it needs to work in tandem with subscription models. We expect to see a mix of Gold and Green models. We are discussing fair embargo periods with funders worldwide. The challenge is that in almost all fields, the majority of article usage happens beyond the requested embargo periods. So the granting of fair embargo periods is a bit like rope walking, balancing the needs of authors and funders, with sustainability, and for the most part we’re able to achieve fair compromises. Q: What about Hybrid OA, which most of those in this Q&A series have expressed some concern about? What role do you expect to see this play going forward, and why is it invariably more expensive than pure Gold OA (I ask the latter not least because Hybrid OA allows a journal to increase the revenue it earns though “double-dipping”)? A: First, at Elsevier, hybrid pricing is similar to pricing for our full OA titles. The prices are tailored to the community and journal and reflect the diversity of scholarly communications, such as case report journals, review journals and original research journals. We have established funding body and institutional agreements which will help facilitate open access implementation – many of these funding body agreements mean authors will be reimbursed for open access publication fees. We also have an open access fee waiving policy which assesses requests on a case by case basis; however we give preference to countries involved in the Research4Life program. Second, let me now say something about the role of hybrid. Above all, hybrid titles provide choice to authors, letting them publish in existing titles they know and respect. Journals are about many factors, above and beyond their business models, and authors still want to publish in trusted journals, known and respected by their communities. Hybrid offers funded authors the chance to publish Open Access, alongside authors without the funds to support fees. Daily, Elsevier authors express their appreciation for the availability of the option to “publish for free” (as they often call it). Or, alternatively, choose for the author pays option under the hybrid model. Going back to your question, at Elsevier we have made the firm commitment not to double dip. We avoid this by separating of the subscribed content from the OA content for title pricing and evaluation purposes. Now, journals typically show growth both in the subscription articles as well as open access articles, so the price of any one hybrid journal is still likely to rise year over year, but not as much as it would have, had all the content been subscribed content. Q: How would you characterise the current state of OA, both in Europe and North America, but also in Asia and the Global South? A: There is positive interest in new access models in all regions of the world though access to APC funding, and interest in OA is usually a little larger in Europe and North America. Everywhere, the dialogue is getting a lot more constructive, and deepening towards underlying issues of research and information efficiency and the role of information in global knowledge networks. We’re encouraged that in all these conversations, the role of the publisher in actually progressing the OA goals of the research community is acknowledged and appreciated more than ever. A: I would say that governments need to secure information budgets that follow the growth of research output. All stakeholders in the knowledge chain should listen to each other, figure out together ways to continue the freedom to publish, ensure the availability of author choice, and maintain high quality, inclusive journals that meet the needs of science. At Elsevier, we need to continually respond to the requests of authors to provide more choices for them to promote their research. That extends beyond just OA or subscription based publishing, to helping them assess their research performance, providing more journal fields for them to publish in, different forms of peer review, etc. What’s particularly rewarding about my position is that I oversee a rather large journal system that has been in place for hundreds of years, one that we hope will remain the predominant choice for the global science community for some time. Yet at the same time, there’s a great deal of innovation in the marketplace that we get to participate in. It’s an incredibly vibrant time for publishers now, all of which is of benefit to the research community, and by extension, the public. A: Now that OA has become more mainstream, we all need to continue to promote the benefits of OA and collect the evidence for that. In addition, I would focus on the needs of funders as well as the needs of academics and other research professionals. Currently OA is a real struggle for many authors and institutions. The OA movement can help to streamline the transition by focusing on solutions with a long term horizon. The academic world, though full of changes, is intrinsically interested in, and served best by, long term solutions. Q: Do you think that OA inevitably leads to conflict and disagreement between publishers and the research community? Certainly in the wake of the failed attempt to get the Research Works Act passed in the US there appears to be growing disenchantment amongst researchers with commercial publishers. In the first Q&A in this series, for instance, palaeontologist Mike Taylor argued that legacy publishers “are not our partners, they're our exploiters”. Is it that researchers, librarians and research funders expect more of publishers than they can reasonably deliver? Is it that the profits of scholarly publishers are, as critics argue, excessively high? Or is there some other reason for this disenchantment? Do you think it would help if Elsevier apologised for its support of the RWA? Does it plan to? A: No, I don’t think OA necessarily leads to conflict and disagreement. There are many OA models, and the details are really important to get right and have different implications for each of the different stakeholders. In this way OA conversations are a bridge, bringing stakeholders together to have new conversations about what access models work best over the longer term, and by and large those conversations reach positive conclusions. Often, by implementing the hybrid model so authors continue to have the flexibility to publish where they want to in order to effectively communicate their research. But we look at publishing as a service industry to the world of research, not the other way around, and publishers are bridge builders by nature. The agenda we share with researchers is varied, long and based on researchers’ needs. There are obviously people critical of publishers and profits and frank, open discussion is positive. However, in talking with most researchers across all fields I’ve been met with encouragement and enthusiasm. And, in practical terms, we continue to receive more submissions each year, so authors are showing their overall satisfaction publishing with us. Overall, we work to stay very much in-tune with what the research community expects from us, and we try to meet and exceed these expectations. So our role in the world of research doesn’t really change because of Open Access, other than the nature of the author-pays transaction actually brings us closer to authors than ever before. On the RWA, that was a painful experience but one from which we have learnt a great deal, not least the importance of intensifying our engagement with researchers, librarians and funders. I don’t think any organization or industry needs to apologize for efforts to have its voice heard on an issue we think is important. But the depth of feeling among some in the research community was very real, and you’ll recall we dropped our support for the RWA in order to focus on dialogue and collaborative solutions, one outcome of which is CHORUS. The really positive thing to come from 2012 is that a lot of these issues were surfaced and discussed, and the outcome has been that the industry and governments around the globe have been able to have far more constructive dialogues based on balancing the needs of all stakeholders. Q: You will perhaps know that Sanford Bernstein analyst Claudio Aspesi believes (see also here and here) that OA poses a significant threat to publishers, especially Elsevier. Do you agree? How would you characterise the attitude to OA amongst most financial investors, and Elsevier’s shareholders? A: In my opinion, we’re past the notion of OA as a threat to publishers as there are many examples of OA publishers who run a perfectly healthy business. OA actually presents new business opportunities and brings us closer to authors, which is always good. But beyond that, I believe that our business isn’t about OA or not, it’s about serving science and responding to the needs of our customers. If we do that well, we will prosper. If we do it badly, we deserve to fail. Science grows daily and it needs to communicate through new and existing channels. The companies who can support that have a bright future, and Elsevier will be one of those. A: Firstly, affordability remains crucial. In absolute terms, library information budgets typically consist of a smaller fraction of the total university budget, than they did 10 years ago. So our relationship with customers who face these challenges remains crucial and we’ve been quite flexible in how we’ve structured our agreements during this period. Secondly, OA doesn’t change much of the costs of research dissemination. The biggest driver of costs will be the increasing amount of scientific research and the resulting publishing activity, so we think it’s important for the entire community to work together to ensure that both private and public sector funders keep pace with that rise. A: My expectations are that, taking all publishers together, we will see growth of the OA articles share from the current 6% to 7%, or more, of the total number or published articles. I also expect further positive dialogue between publishers and policy makers where it comes to green OA for markets where author don’t have access to APC funding. Q: Since I emailed my list of questions to you there has been a new development in the OA world, with the publication of the UK House of Commons BIS Committee inquiry into OA. In its report, the BIS Committee calls on the UK government to do a U-turn on its OA policy, and prioritise Green OA rather than Gold, while at the same time placing an upper limit on embargoes of 6 months for STEM subjects and 12 months for HASS subjects. (Currently 12 months and 24 months). It also recommends that the Government require immediate deposit in repositories (if not immediate OA). In addition, the report says that if the current preference for Gold OA is maintained, "the Government and RCUK should amend their policies so that APCs are only paid to publishers of pure Gold rather than hybrid journals to eliminate the risk of double-dipping". Do you expect the UK Government to accept some or all of these recommendations? If so, what (if any) impact would you envisage it having on Elsevier, on its business, and on the development of Open Access? A: We appreciate the contribution that the BIS Select Committee has made to the ongoing global discussion, but note that this is just one part of a much broader discussion. We welcomed the Finch Report and hailed the work by so many members of the academic community — universities, funders, libraries, scholarly societies, and publishers — that informed it. We remain convinced that gold open access is a viable approach to a competitive and sustainable open access publishing market. The gold road to open access is generally preferable to green, because it gives immediate access to the final version of the article and reflects a demonstrably sustainable business model. It’s hard to say what impact, if any, the Committee report will have, and we’re interested to see the UK government’s response just like everyone else. In regard to what we would do, we remain committed to the multi-stakeholder process underway in the UK, and will continue to offer services to help authors comply with the UK open access policy. Philippe Terheggen PhD, Executive Vice President, heads up Science Technology & Medical (STM) journal publishing at Elsevier. Originally a medical scientist, he has an international background in book and journal publishing, marketing and product innovation. Philippe is married to an immunologist and has two sons. Elsevier’s journey to Open Access: A ship slowly turning? In 1880 Jacobus Roberts and a number of other Dutch booksellers found Elsevier (in Rotterdam). In doing so they “appropriate” the company name from the House of Elzevir, an entirely separate publishing company founded in 1580 by Louis Elzevir, but which had gone out of business in 1712. The choice of name is heavily influenced by the fact that the Elzevir “brand” has grown rather than diminished in prestige since the House of Elzevir ceased trading, with its books becoming collectors’ items. Initially, Elsevier focuses on publishing literary and scholarly books (e.g. Jules Verne’s Illustrated Travels) and encyclopaedias. Over time the focus shifts towards textbooks and science handbooks. After WWII Elsevier begins to publish international science journals, launching its first English-language journal Biochimica et Biophysica Acta (BBA) in 1947. (Until the 1930s the primary language of international scientific communication had been German). In the 1970s the publishing industry embarks on a long period of merger and acquisition activity. Elsevier kicks things off by purchasing North Holland Publishing Company. In 1991 Elsevier buys Pergamon Press (from the infamous Robert Maxwell) for £440m, adding 1,300 or so journals to its own considerable list. It now has a critical market share in STM journals, enabling it to go on to become the largest scholarly publisher in the world. In 1993 the first web browser (Mosaic) is released. In 1994 OA advocate Stevan Harnad posts his Subversive Proposal, calling on colleagues to make their research freely available by establishing a local FTP archive and placing their published papers in it. In 1995 the US National Science Foundation Network (NSFNET) is decommissioned, removing the last restrictions on the use of the Internet to carry commercial traffic. The Internet is commercialised. In 1996 Academic Press (subsequently acquired by Elsevier) pioneers the Big Deal. After initial scepticism, other publishers follow suit. Instead of selling subscriptions on a title-by-title basis, publishers begin to bundle hundreds, sometimes thousands, of journals in all-you-can-eat discounted packages. While initially welcomed by librarians, the Big Deal soon becomes their bête noire, locking them into expensive contracts from which they feel unable to escape. As the scholarly publishing industry consolidates, so the Big Deals become ever larger, ever more expensive, and increasingly detested by librarians. In 1997 the merger mania begins to raise anti-competitive concerns, and an attempt by Elsevier to merge with Wolters Kluwer is called off when it emerges that European regulators are planning to raise objections. In 1997, Elsevier launches its online platform ScienceDirect, and announces that it will eventually offer online subscription access to the full-text of 1,200 Elsevier journals. (2,500 today). 2001 sees the last of the mega acquisitions, when Elsevier acquires US medical publisher Harcourt General. The acquisition sparks criticism from librarians and raises anticompetitive concerns, and is referred to the UK Competition Commission. The deal is subsequently cleared. This is the purchase in which Elsevier acquires big-deal pioneer Academic Press. At the end of 2001 the Open Access movement is born, with the Budapest Open Access Initiative (BOAI). Many (especially librarians) view OA as an alternative to the Big Deal, and assume it will be cheaper than subscription publishing. As such, they believe it will solve the affordability problem confronting the research community (usually referred to as the serials crisis). In June 2004 Elsevier announces a new Green Open Access policy. This allows authors to self-archive their postprints in institutional repositories without an embargo. The news is greeted with enthusiasm. As Green mandates begin to be introduced, however, Elsevier later seeks to impose new limitations on self-archiving. During the same Select Committee inquiry Elsevier initially refuses to communicate with the Committee other than through a lobbyist, something previously unheard of in the world of select committees. The publisher eventually agrees to talk directly to the Committee after Chairman Ian Gibson threatens to “call it to the bar of the house”, and in March 2004 Reed Elsevier CEO Crispin Davis gives oral evidence to the inquiry. In July 2004 Crispin Davis is given a knighthood in the Queen’s birthday honours, “for services to the information industry”. In 2006 Elsevier begins to offer Hybrid OA (or what Elsevier calls “sponsored articles”) for some of its journals. In 2010 Elsevier launches its first Gold OA journal, the International Journal of Surgery Case Reports. In 2011 Elsevier begins to impose new limitations on its self-archiving policy. It now insists that if a paper is subject to a Green OA mandate requiring that it be deposited and disseminated in a specific open archive (e.g. PubMed Central or in an institutional repository) then the author’s university or research funder must first enter into an agreement with Elsevier. This means agreeing to Green embargoes. In 2011 Elsevier supports the controversial Research Works Act (RWA), a bill intended to reverse the NIH’s Public Access Policy. The NIH policy is the poster child of the OA movement, and exemplar of a Green OA mandate. Essentially, the NIH policy requires taxpayer-funded research to be made freely accessible online. The RWA would also prevent any other federal agency from introducing a similar OA policy. Elsevier’s support for the RWA sparks a flurry of anger and protest amongst researchers. In February 2012 the Cost of Knowledge web site is launched. Thousands of researchers vow to boycott Elsevier unless it radically changes the way it operates. The petition refers to Elsevier’s support of the RWA, SOPA and PIPA, its “exorbitantly high prices” and its exploitative use of “bundling” (i.e. Big Deals). Eventually, nearly 14,000 researchers sign up to the boycott. In February 2012 Elsevier withdraws its support for the RWA, commenting “We hope this will address some of the concerns expressed and help create a less heated and more productive climate for our ongoing discussions with research funders”. The bill dies shortly after as a result. (Elsewhere, SOPA and PIPA attract huge opposition and lead to an Internet blackout. As a result, both bills are indefinitely postponed). Earlier contributors to this series include palaeontologist Mike Taylor, cognitive scientist Stevan Harnad, former librarian Fred Friend, SPARC director Heather Joseph, publishing consultant Joseph Esposito, de facto leader of the Open Access movement Peter Suber,Open Access Advocacy leader at the Latin American Council on Social Sciences (CLACSO) Dominique Babini, Cameron Neylon, advocacy director for the non-profit OA publisher Public Library of Science, and media research analyst at Exane BNP Paribas Sami Kassab. It's not really surprising that the 14,000 boycotters haven't had an impact on the number of people publishing with Elsevier. According to the OECD there were 4.2 million researchers in the OECD area in 2009. So 14,000 represents about .3% of them. Or to put it another way, this petition has attracted 20,000 fewer signatures than the "White House should build a Death Star" one. First of all, I'd like to give Philippe Terheggen credit for coming on here and representing what he will have known will not be a particularly warmly welcomed participant. It's always good to hear an Elsevier voice, and I'm pleased to add Philippe to the list of other Elsevier people who have made substantive contributions (Tom Reller, Alicia Wise, Liz Smith). ... although as always, I find myself thinking that these people, of obvious high goals and good intentions, should get out of Elsevier and work for a publisher whose goal is to publish. Regarding the RWA, and the likelihood of an apology: let's take a moment to remember what Elsevier actually said about this at the time: "While we continue to oppose government mandates in this area, Elsevier is withdrawing support for the Research Work Act itself [...] while withdrawing support for the Research Works Act, we will continue to join with those many other nonprofit and commercial publishers and scholarly societies that oppose repeated efforts to extend mandates through legislation". This is about as far from an apology as you can get. It amounts to continued support for the RWA, even while withdrawing from that specific piece of legislation. See also my analysis at the time. Make no mistake: Elsevier have yet to show any signs of fundamental change. Instead, they are conceding ground, yard by yard, as compelled, and through gritted teeth. It's not too late for them to make a real change, but the chance is slipping away. Terheggen describes publishers as a service industry to the world of research, and as a bridge. But what he fails to state (or realise) is that with new technology, there is no need for such a service industry or bridge if the researcher can communicate directly with their audience. It is a pity Richard P did not press him on that point. Charles Oppenheim is bang on target. Academic publishers are facing the same disintermediation challenge as libraries. But whereas libraries are responding by searching out new ways to be helpful, too many publishers are responding by trying to tighten their grip and assert their power. In the world of 2013, publishers need to demonstrate their value, to both authors and readers. Those that can't, or won't, do that will not survive. Admittedly those with a lot of cultural momentum, like Elsevier, may be among the ones that cling on the longest. But they're fooling themselves if they think that keeping on doing what they've been doing is going to get the job done, in a world that has Frontiers, F1000 Research, eLife and PeerJ. Believe Elsevier when they state formally that "Elsevier believes that individual authors should be able to distribute their AAMs for their personal voluntary needs and interests, e.g. posting to their websites or their institution’s repository, e-mailing to colleagues." Go ahead and deposit your final draft immediately upon acceptance for publication, set access to the deposit as OA, and ignore all the accompanying Elsevier hedging completely. It means absolutely nothing. Don't stress: Deposit immediately just the same, but set access to the deposit as restricted access (only you can access it) instead of OA and rely on the repository's copy-request Button to forward individul eprint requests to you from individual requestors: you can decide on each request on a case by case basis, whether or not you wish to fulfill that request, with one click. This will tide over potential user needs till either the Elsevier embargo elapses or your irrational doubts subside -- whichever comes first.